Patch panels, copper patch cords, fiber jumpers, transceivers, direct attach, active optical cables, jacks, fiber connectors, adaptors, panels and splice enclosures - all of these products fall into the category of connectivity. Connectivity products bring all of the cable, both copper and fiber, throughout a building together. Data centers require a dependable, high-performance network which can adapt to your many application requirements as well as future expansions and additions. By utilizing products from the leading manufacturers of copper and fiber connectivity, your network won't lose performance at these vital junctures. Whether it's a data center expansion or a complete infrastructure overhaul, Accu-Tech's leading manufacturer partners have the copper and fiber connectivity to meet every project's demands. Browse our vendor solutions below. 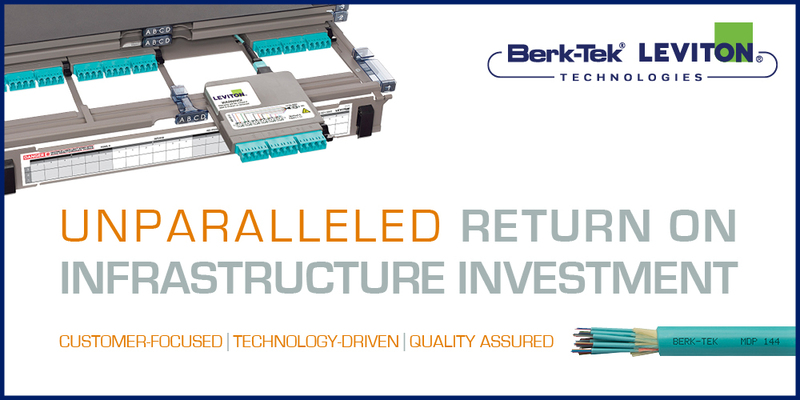 Contact your local Accu-Tech representative to start designing your ideal Cable and Connectivity solution today.